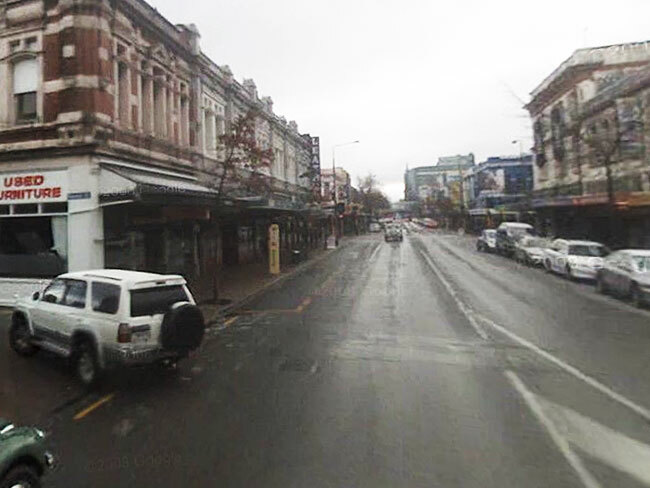 Go to the site directly to move the red bars dividing each picture back and forth and see teh full before and afters- looks incredibly tragic. 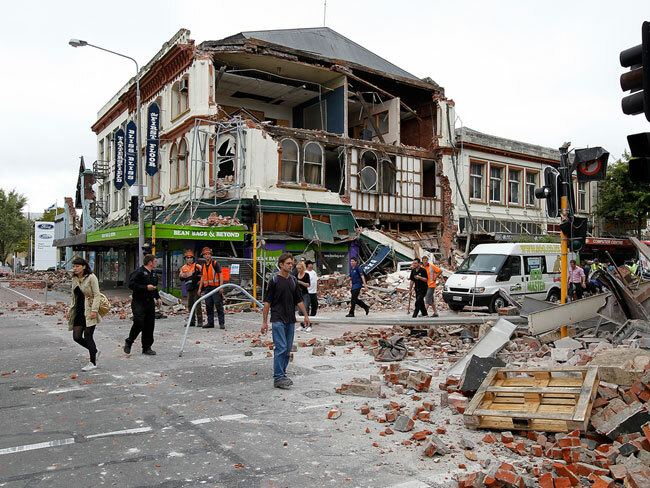 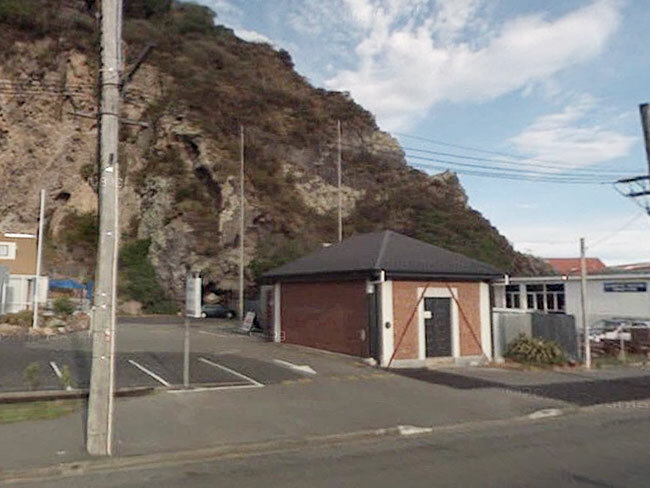 THE major earthquake that hit New Zealand's second largest city this morning has caused an unknown number of deaths and extensive destruction to buildings. 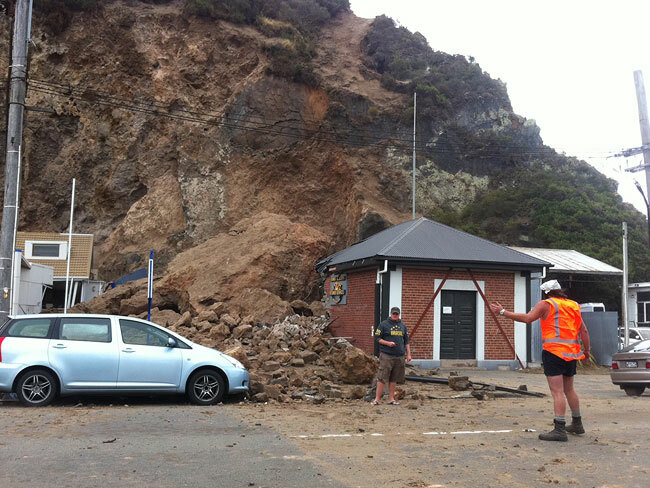 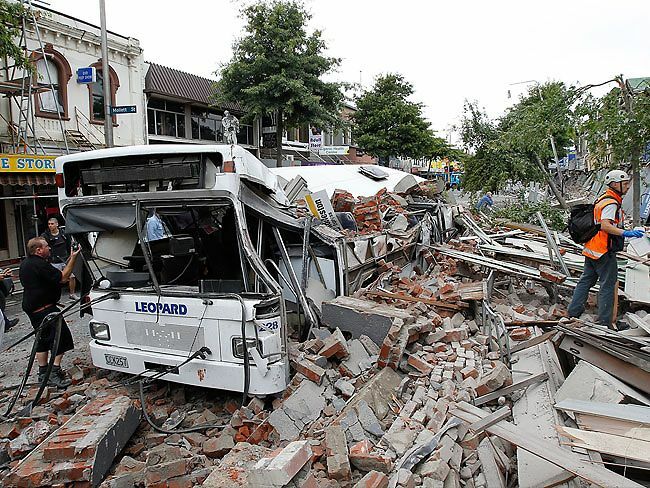 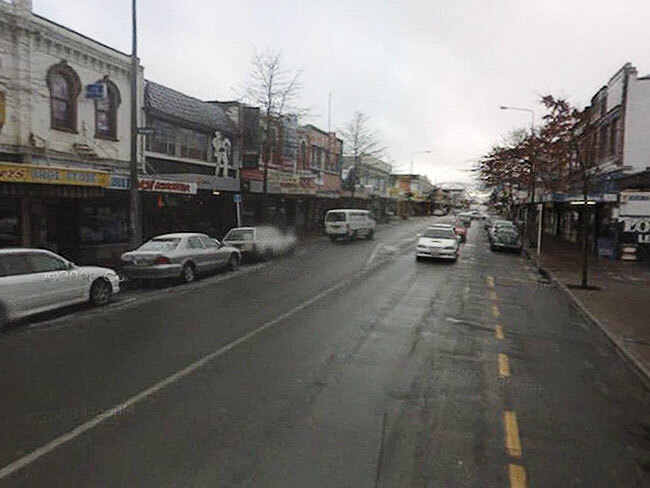 These interactive photos show the effects of the quake on the streets of Christchurch. 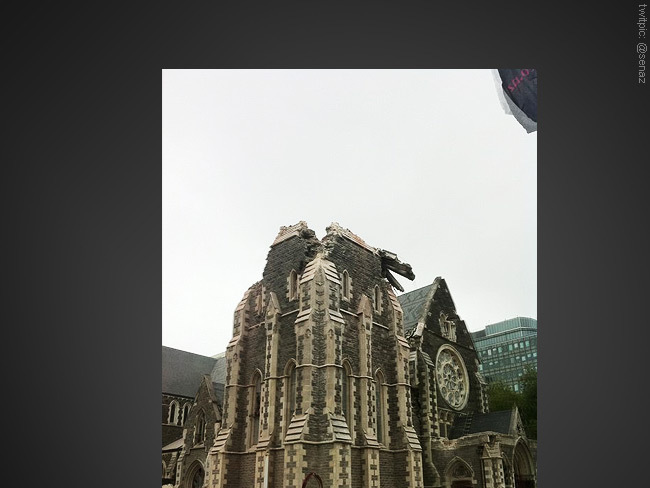 This shows the damage done to Christchurch Cathedral, a landmark of Christchurch that has been a part of the city for nearly 150 years. 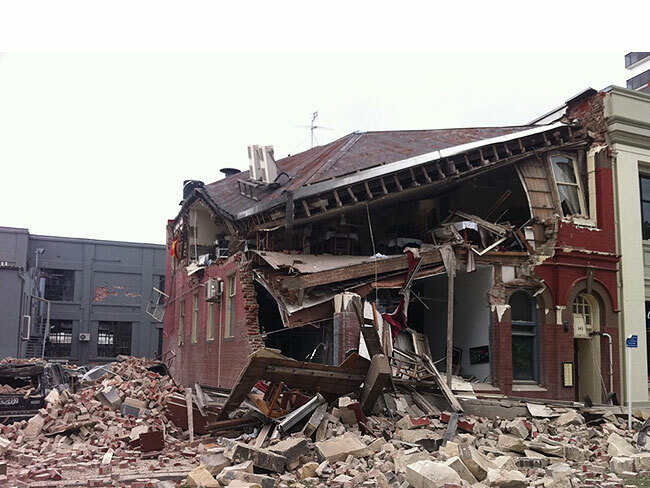 The 6.3 Magnitude earthquake that hit this morning has destroyed the building, toppling the spire. 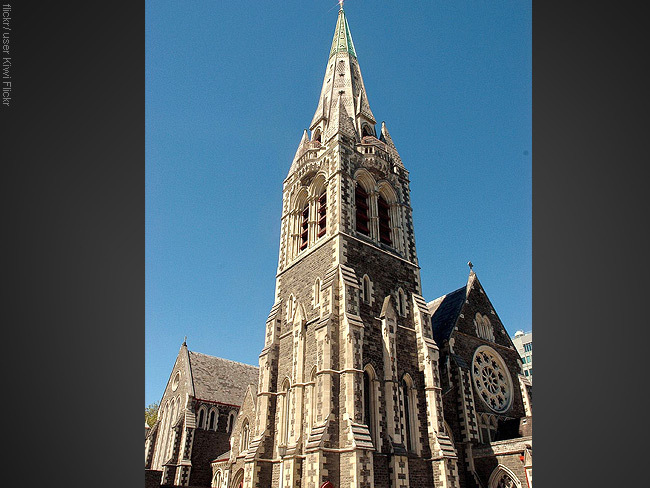 The cathedral's spire stood 63m above Cathedral Square. 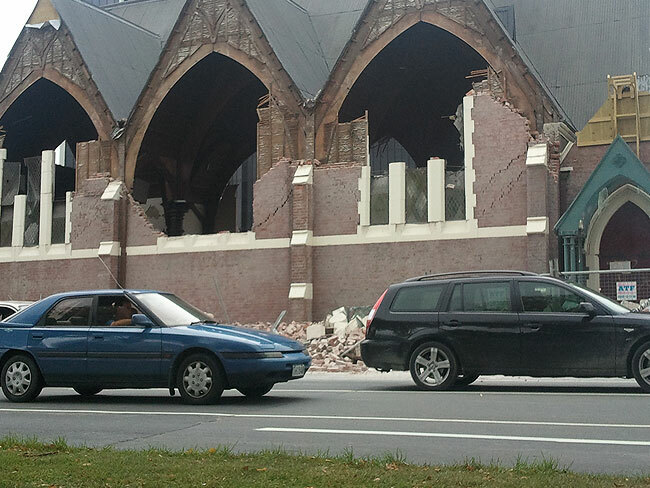 The cathedral was under repair for damage sustained in aftershocks on Boxing Day last year. 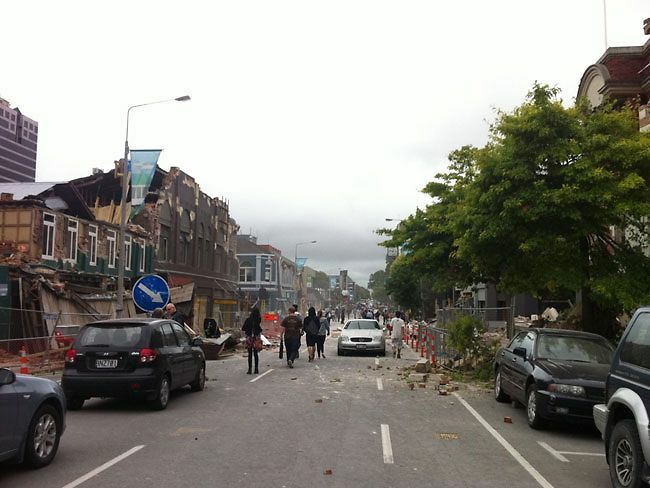 Unfortunately Christchurch Cathedral was not so lucky this time. 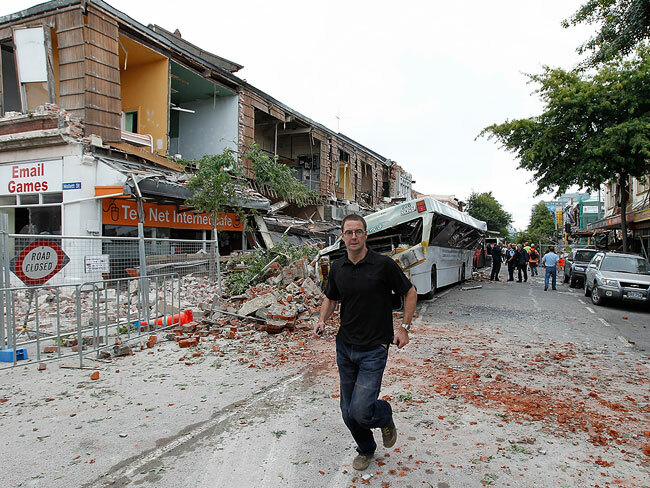 In other areas of the city, streets were filled with rubble and buildings crushed by the force of the quake. 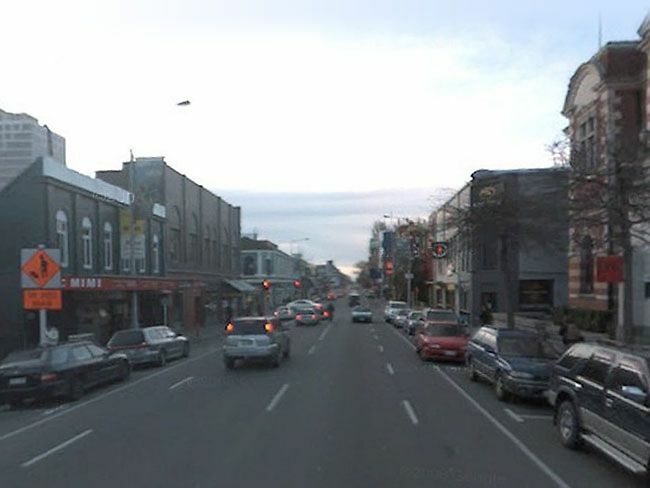 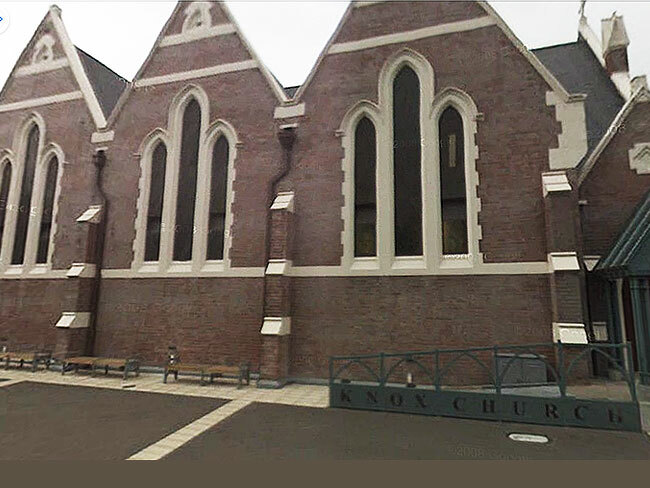 More before-and-after pictures show how the earthquake has dramatically changed Christchurch's landscape. 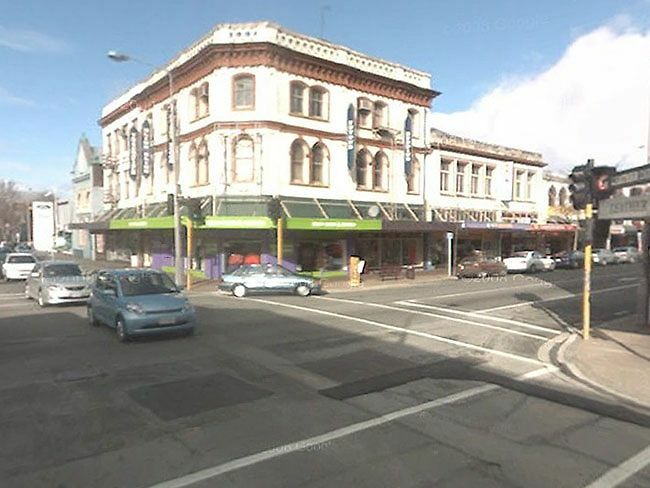 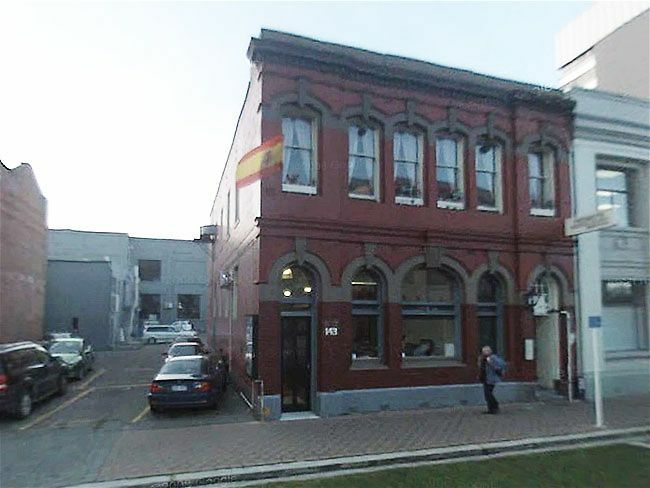 Pedro's Restaurant, near the corner of Manchester St and Worcester St. Picture: Twitter user @PolarBearFarm and Google.